Based on the same award winning Scott Radian technology that won the “Best New Fly Rod" & “Best Overall New Product for 2013" at the IDFT show in 2013. The Scot Radian is a top choice for salmon and fishing with floating and sinking lines. Based on the same award winning Radian technology that won the “Best New Fly Rod" & “Best Overall New Product for 2013" at the IDFT show in 2013. Last summer when Jim Bartschi came to Norway to fish the river Lakselv, Norway with Tom Roger Bekkeli, the idea was born... Working closely with Steve Peterson, Eirik Fjelldal, Mikael Andersson and Mikael Lindström they were devoted to make the Ultimate rod for Scandi style Spey casting. We think you will agree with the following statement after having tried them; Mission Accomplished ! All Radian Ultimate Scandi rods handle all Spey techniques and Scandi shooting head systems with ease. The rods actions combine fast with feel giving both power and easy loading for smooth effortless casts. This series of Radians are primarily designed for short quick casting strokes which make it easier to load the rod and angle the Spey casts. 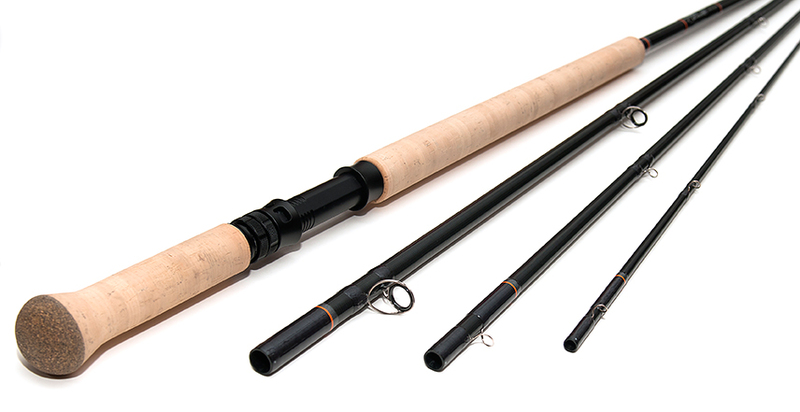 The Radian rod handles floating and sinking lines easily and casts tight, precise loops. It is all about making your fishing easier and more effective under all conditions.